Dancing stopped just a few minutes ago. The evening session of ceili had been fantastic and the final group dance had been the most entertaining among them all. Bride and groom and all guests alike, we stomped and twirled and laughed together to the rhythm of the band. Outside, the weather had cooled down considerably. 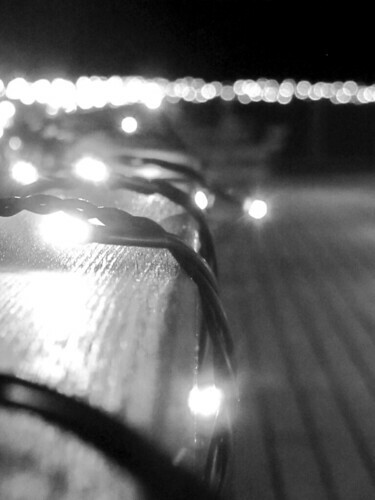 At the patio, the fairylights shining like a million sparkling stars, which I could not take my eyes off from them. Shivering, I whipped the camera out, hoping to quickly catch one or two decent shots, and I am more than pleased that this one came out quite as magical as I remember the day to be.